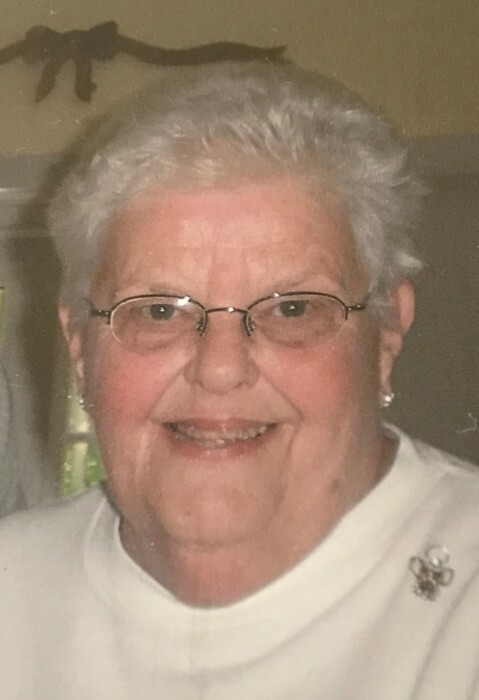 Mrs. Jane Louise Belzner of Selbyville, DE and formerly of Baltimore, MD, passed away on Monday, November 12, 2018. She was 71 years old. Mrs. Belzner was born on June 18, 1947 to the late William H. and Alice Glover King. She was a homemaker. Jane loved to crochet, read and collected angel figurines. She was an angel herself, a special person with a big heart. She was a member of St. Luke and St. Andrew Catholic Church in Ocean City, MD. Jane was known around Ocean City as St. Jane. Jane is survived by her husband of 50 years, John S. Belzner of Selbyville, DE; a son, Patrick Belzner and his wife Kristin of Selbyville, DE, a sister, Diane Wisner of Baltimore, MD, a sister-in-law, Noreen Chauncey and brother-in-law George Chauncey of Glen Burnie, MD, and a God-Child Corinne Louden, four grandchildren, Andrea, Anthony, Marley and Kayley Belzner. She is also survived by several nieces, nephews, extended family and many friends. A Mass of Christian Burial will be held at 11:30 AM on Saturday, December 8, 2018 at St. Luke’s Catholic Church, 9903 Coastal Hwy, Ocean City, MD 21842. In lieu of flowers the family suggests donations to Delaware Hospice, 100 Patriots Way, Milford, DE 19963.